Timal trekking is non-tourist area and less crowded, but a very splendid trekking trail in Nepal. Sailung Timal trekking takes you to Thulo Sailung (3100 m), its highest elevation, from where you will see a vast Himalayan range from Everest region , Makalu to Dhaulagiri Himalaya range. In additional, Sailung Timal trek is the only trek from where you will have a glimpse of Tarai - the lowland of Nepal as well as the world's highest - Mt. Everest (8848 m).While trekking in this area, we walk high up on spectacular ridges in an area inhabited by Tamangs - an indigenous Buddhists community whose religion is a fusion of Buddhist Lamaism and the Shamanist Bon culture. It is common for a village to have a Lama and a Jhankri (Shaman). Except Tamang, you will have encountered with different ethnic people and experience about socio-economic situation, life-style, and their professions. 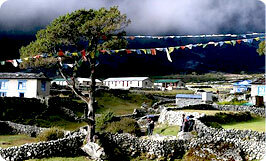 Moreover, the main attraction of this area is, it gives a wide range of exploration to the trekkers. Since Timal Bholung trekking has been open Himalaya journey Trekking and Expedition has depth experience to operate the trekking in relevant areas. Highest access of the trek: Thulo sailung 3146m. Himalayan sights: Langtang Himalaya range, Dorje lakpa , Gauri Shankar , mt.Everest.Mt.Makalu, Rolwaling Himalayan range. Day 01: Arrival in kathmandu 1334m, Himalaya Journey Treks & Expedition’s representative will transfer to hotel , Timal trekking briefing with officially arrangements. overnight at Kathmandu. Day 02: After breakfast, HJT tour guide will take to you around kathmandu valley sightseeing and preparation for Timal trekking. overnight at kathmandu. Day 12: Namobuddha to Walk to Panauti and take Transfer to Kathmandu. Day 14: After breakfast, Relaxing/shopping with own activities ,Himalaya Journey Treks & Expedition’s representative will drop to Kathmandu international airport for onward destination.